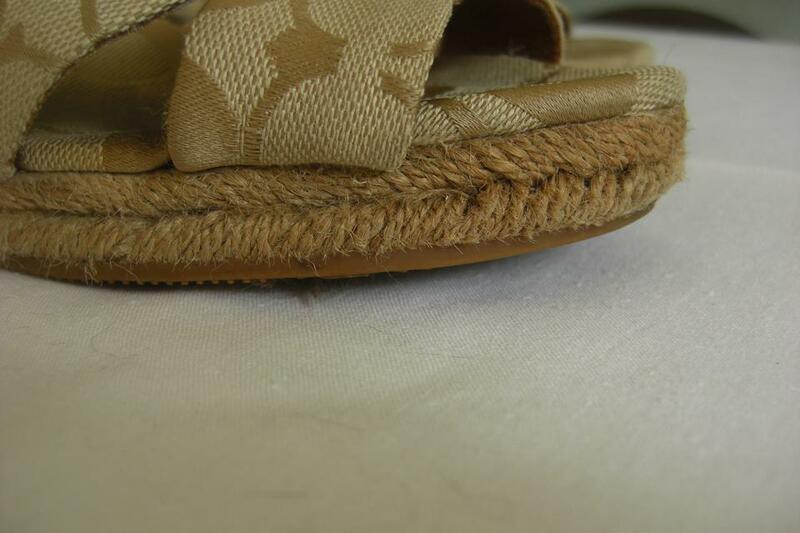 Coach updates the espadrille wedge with color, pattern and rich texture on a mid-heel design in refined canvas with natural braided jute, signature monogram canvas and hand-finished vachetta leather trim. Canvas with leather trim. 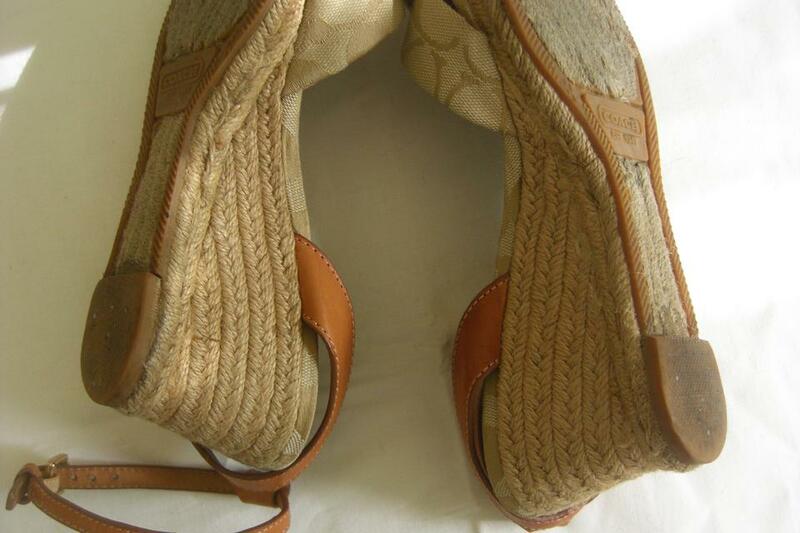 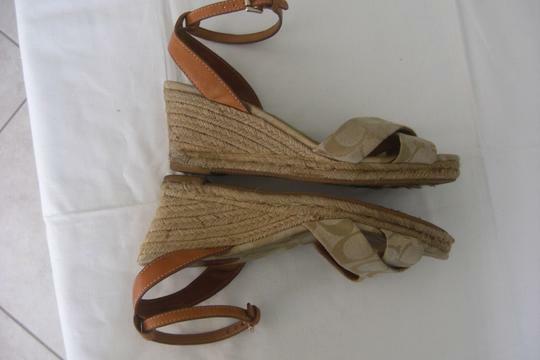 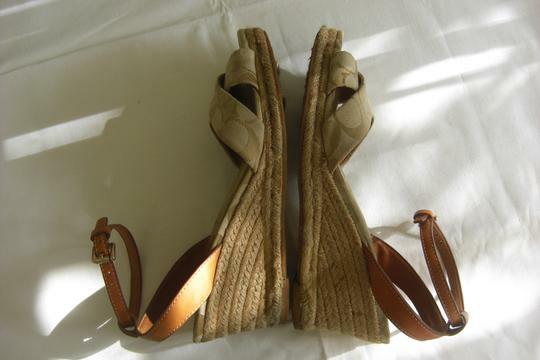 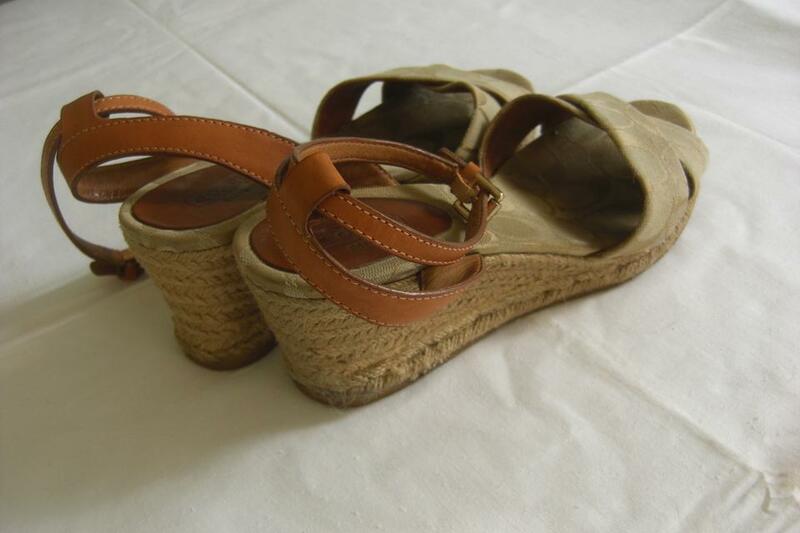 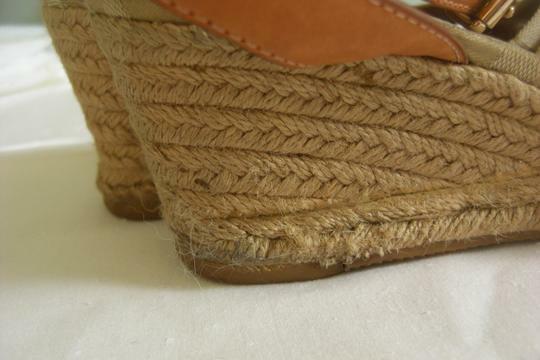 3" wedge jute heel. 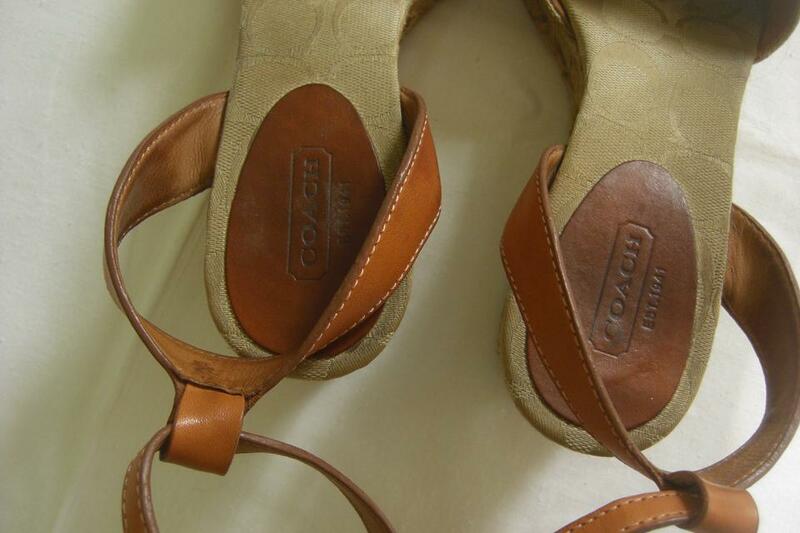 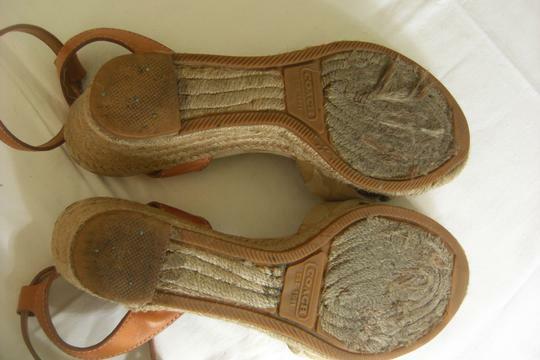 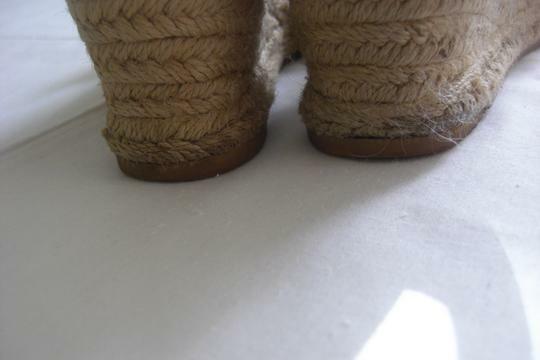 Rubber and jute sole.